Each year the fishing is a little different. Changing weather and water conditions, as well as other variables play a major role in fish movements and feeding patterns. This calendar represents a general trend. Winter and spring fishing can be excellent, however the weather can be unpredictable. 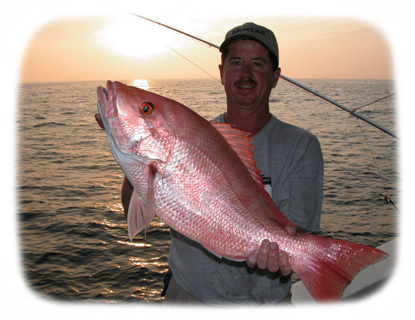 Our favorite time of the year to fish is in summer and fall because the predominant calm seas allow us to cover more productive grounds and target the bigger fish. The dolphin fish is a nice bonus in the summer time, also. 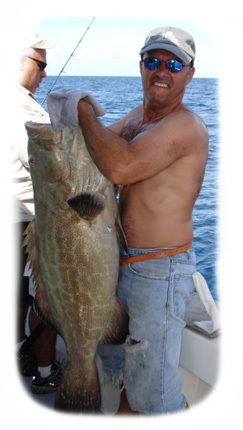 Generally, we catch more and bigger grouper during the cooler months, Nov. - April and more snapper when it is warmer, May - Oct. No matter what time of the year you plan on fishing down here, there is always a variety of gamefish to be had.